We need some ideas on how to rebuild our construction skilled labor pool. Look at any construction site and you will be hard pressed to find anyone under the age of 40.
Who do we reach out to in order to solve this problem? The workers who came through the building recession did so because they were seasoned, more valuable and had multiple skills. What we lost were many younger, potential future laborers who were forced to pursue other opportunities because of the construction crash which started in 2008. A statistic that was release by the Associated General Contractors of America cited that employment declined in 179 out of 337 metropolitan areas between April 2010 and April 2011. As recently as June 2016, news articles cited concern about the labor shortage. In 2015 articles brought the issue to light as construction rebounded in cities like Denver and Nashville. Even the issues around immigration raise concern about where qualified laborers will come from in the future. Historically, apprenticeship programs associated with trade unions have pumped skilled electricians, plumbers, roofers and tradesmen of all sorts into the marketplace but the attrition rate is catching up with them. CertainTeed and our parent company Saint-Gobain have partnered with an organization called YouthBuild USA which provides training to urban students who have not completed high school and now have a desire to do so. Through classroom and onsite construction skill training, students who complete the program receive their diploma or GED and the necessary baseline technical skills needed to seek employment in the trades. It’s a great program but given the scope of the shortage there needs to be additional avenues to help rebuild this critical work force. The residential housing market is heating up which we have all been waiting for but will it be stalled because we don’t have the skilled artisans to get the jobs done? I would love to hear your thoughts, ideas or possible solutions. Why limit it to the urban areas? There are construction needs all over the country. Kids are kids – the focus should not be so narrow. I’m a young adult with an interest in learning many trades. Having graduated from high school during the height of the crash in ’09’ I can express a few things that deterred me from pursuing a career as a tradesman. Over the past five years of my adult life I’ve found comfort in the skills I’ve learned while on the job site. I was lucky enough to find a mentor who took those aforementioned risks and treated me like his own. He, along with my supervisors and coworkers, pushed me to become a better carpenter and builder. I enjoyed every step forward and endured the setbacks I came across. Like Icarus’s tale, it wasn’t until the reigns were cut loose and my enthusiasm for it all came crashing down. With only a few years’ experience did I find myself in unfamiliar territories thinking that an immediate profit would fill my pockets. This is was my motivation. I’d longed to produce quality craftsmanship without the proper education and minimal experience, and even less tools! I have the wherewithal to problem solve but that may not always be fiscally reasonable. A combination of business and building is what I needed. I’m so happy to hear that programs like these are coming about. Entrepreneurship has been taken over by Silicon Valley, but this is a wonderful solution to many problems, especially for those in deprived communities like my own, i.e. Detroit. I’ve been waiting for someone to ask that question, I’ve been working toward that solution for years, and believe I have some answers and solutions. Let’s talk. Great post!!! I am happy with the approach of CERTAINTEED in the education arena. When I was 17 years old in High School in a rural Mississippi school system, I was fortunate to experience our vocational shop and automotive program. The programs gave us as academic students the opportunity to become acclimated with the reality of real world work experiences. As a part of our curriculum, we were afforded the opportunity to work as framing apprentices for a local home builder. I would love to share some ideas instrumental in a national drive for rebuilding a proud, youthful vocational community of trained journeymen and journeywomen. I have worked in the carpentry trade since 2001 and am now a self-employed carpenter. I want to train young guys the way I was trained, but the added expense of hiring rookie laborers is a huge burden with a payoff that is not commensurate with the risk involved. The biggest road-blocks for me are the added expense of workmen’s comp insurance (higher bids) and the risk of unreasonably high OSHA fines I would then be eligible for (I don’t tie-off on roofs, route extension cords out of the way, etc.). Hello Lucas. I first got introduced to the drywall at the age of 15. 34 years ago. The products have changed a great deal since then some for the better some for the worse. Coating by hand has become a lost art. A great deal of those being trained are not being trained properly or giving the time to learn. In some union jobs only question roll of tape a day is required while a smaller company is putting out a thousand feet a day per man meaning a home of 10000 board feet takes 2 men 5 days. In the electrical trade it’s a 5 year apprenticeship to learn about detail so you don’t burn down the building. Carpentry is also 5 years so it doesn’t collapse and so on. The steps we the to train our young must change to allow this process to encourage young people to join it. I have many ideas and would like to discuss this with someone. Please feel free to contact me anytime. Ive been in construction since i was 15 years old im 38 and own my own company for 11 years now. The biggest problem ive found with finding young guys who want to learn the trade is simple. Why would these young guys want to learn how to break there back starting at the bottom for 15 hr when they can work on computers and start at 20 to 30 hr and not have to work in the pouring rain. (The main teachers of young workers)you are only going to see more of this until contractors can pay better than jobs that are easier and pay more. 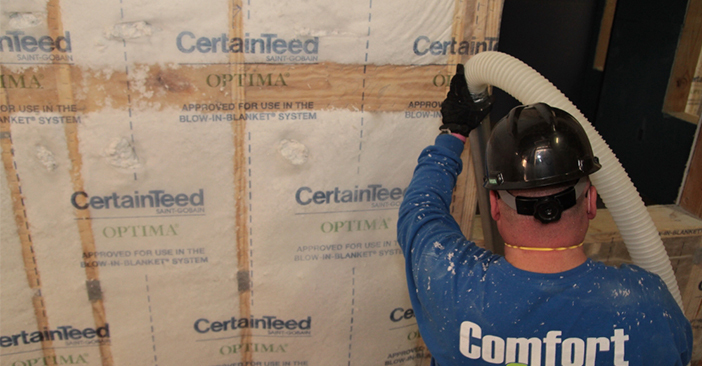 Certainteed should get behind contractors and help them get free from the grip of masco. Hi, this is something I’ve thought about a lot. When I had been younger, I had originally gone to community college for Drafting and Design, and worked full time as a CAD draftsman. It was a good job, but within about a year or so of working in an office full time, I wanted to get out and work outside and build things. For most of the next 15-20 years I ended up working in manual and skilled labor jobs, including about 6 years full time as a Roofer. I worked my way through various opportunities, capacities, and challenges. I also came to be known among my friends outside of the roofing trade (such as at my Church etc) as someone who was very handy. Without even trying, I started to get many opportunities to do my own self employment work on the side by people asking me if they could hire me to work on their houses. I liked the fact, (and thought much about it) that skilled laborers were actually becoming more in demand due to most people going to college for white collar jobs, and/or not wanting or being able to do manual work. This meant opportunity for me, even to the point of considering to go out on my own as a full time self employed handyman. However, I felt that to do things by the book, which i wanted to do, was very hard if not impossible for me to get started, in terms of taxes, insurance, licensing , etc. So i continued to work in skilled trades for others as an employee and accumulated knowledge and experience. I liked doing craftsman type work and repairing things, etc. I liked providing a tangible and needed service to people in terms of repairing their houses, etc. However, I also had the back ground, skills, education, and interests related to engineering. This helped many times while working in skilled trades. One time I even created a series of CAD drawings of common flashing specifications for the metal fabrication shop of a company I worked for, which they really appreciated. But my primary responsibilities were working on roofs, etc. After years of working outside, I began to come full circle. When I was younger I had the office job and wanted to get out and build things; now i had come to the point of wanting to get out of the extreme heat and cold of being a roofer (and working very very hard for a living) and wished i could go back to a nice heated and air conditioned office job, but i also felt somewhat stuck in the skilled trades track for better or worse. I especially got tired of being stuffed in a van or truck with guys who smoked all day, which made me feel physically sick, and seemed to happen more often than not, sometimes even if i would confront it. I got tired of being tired all the time, and the extra early hours, etc. I wanted a better family work balance (especially because we now have 4 foster kids and my wife works too) and i also felt that my engineering skills and interests were being wasted for the most part. After much thought, prayer, and taking advantage over time of an opportunity a couple years ago to start working on a 2nd associate degree (also an engineering degree, this time in Construction Technology) I ended up recently taking an opportunity to work in the engineering department of an automotive manufacturer. Of course my story could be far from over. But at least for now the pay is higher, the benefits are nicer, and it sure is a nice break from worrying about the weather, the cigarette smoke, and the sometimes feast or famine and demanding nature of working in outdoor trades. And I am using some engineering and computer skills and interests that were lying mostly dormant. I will need to make sure i get exercise, something i didn’t worry much while working in skilled trades because it usually happened naturally as part of the job. But with an hour lunch break at my new office job, and not having to work on Saturdays like i sometimes had too in skilled trades, I can exercise on my lunch break (there is even a nice walking path behind the building). And if i feel the need to get out and work with my hands, I can work on my own house on the weekends, (I’m looking forward to re roofing our small shed out back and replacing our porch posts) and maybe continue to do small handyman side jobs on occasion. I’m thankful for all the things i learned while working in skilled trades. Those skills have helped me in many ways, from providing for my family to being able to fix up my own house, such as putting a skylight in our upstairs bathroom. But i’m also thankful to be given the opportunity to work in an office engineering environment again after years of hard physical work. What the future will bring, only the Lord knows. One other thought I’ve had a number of times, is that to be a foreman or supervisor in a construction type business, maybe it should be a prerequisite of the position to take some kind of communication/leadership training in addition to whatever technical or other experience is required. Pathfinder Regional High School is currently building my retirement home. It will take a year to build and will be a long road but what a gift to be able to watch America’s future builders at work. I know this is not a new concept but I can’t think of a better way to develop our future labor force than programs like this. Every home construction project, especially home construction whether new or not should include a document listing all of the names and skills of the trades construction workers that worked on that project. This document should become a permenant part of the history of any home and should be handed down from owner to owner and generation to generation within families. This would,in my opinion, instill a sense of pride in the workers and their self esteem at being valued members of our society. This document should also include the name of any company whose products were used in the construction of the project as well as the names of the contractors and subcontractors and all government agencies and inspectors involved in making sure that the construction is of the highest quality available as stated in any and all contracts associated with the project. As a society, we need to come to terms with the fact that a college degree is not for everyone. We need to stop pressuring our young students that their decision or commitment to attend college is a “make it or break it” scenario – finishing high school on the other hand, the statistics indicate otherwise. Although currently working in a major metropolitan area, I was born and raised in a small rural community. Our local school district fortunately had a well-funded technical center where students were able to focus their schooling with trades such as welding, construction, drafting, automotive, farming, etc.. These programs encouraged the kids who were more likely to drop out, to instead continue their schooling and finish with not only a high school diploma, but also with a technical certification in a trade they could excel with. I grew up with friends who couldn’t pass an algebra test if their life depended on it, but they would be the first person to call if my vehicle broke down. Most of those old friends are still working in those same trades today. Within our major metropolitan areas, public schools are not well funded and generally lack, if even consider, options for learning technical trades. It is extremely positive to see that CertainTeed is stepping up and noticing where we can improve our efforts now, for a better and more proficient future. Keep up the good work! Not sure why someone would consider a career in roofing. Essentially every 10 years or so they would be facing employment uncertainty because of yet another housing crisis. Then once amnesty is eventually granted to another generation of millions of illegal immigrants, the industry will be flooded with labor; there’s already hundreds of companies that failed to compete with illegal labor, legal workers will be unable to compete in that environment. As I see it, employment in the roofing trade over the long-term is uncertain; ones time is better spent developing skills they’ll be able to use in a more stable career. You are on point and your program is a great start, but we need to reach deeper. We need to show these kids the math that a trade can pay off better in the long run vs most 4yr degrees include the debt due to that degree. We have all been programmed since the early 80’s you have to get a 4yr degree to get anywhere in life by the loan shark our big G the money machine. Please don’t get me wrong I do believe in higher education/continuing education but we are backwards here in united states. I have been in construction for 20yrs and we have a big problem on our hands as you already know. As a custom Home builder in Oregon, my subcontractors are feeling the shortage of a skilled labor pool. Concerned Oregonians, are taking steps to bring back vocational training in the High Schools with Measure 98. Our local HBA (home builders Association) has started a trade school. If passed by voters, (no new taxes) this will help improve current vocational programs and help start new programs. My hope is this will create interest in our youth, with hands on experiences, and build a work ethic so they will consider a path in the trades and employers will hire and start building the skilled labor pool one young person at a time. If we in the trades don’t train within our industry then we will always have a labor shortage. Sherwood High School has a very successful construction program, Under the direction of John D. they build and sell one home every two years. This provides his students a chance to have hands on training in every phase of construction. It’s not a full apprenticeship but it’s a start. Sherwood also has a very successful CTE program (Career Technical Education) under the director John Neibergall , in fact he just won a national award for his innovative curriculum, that includes , computer CAD design, 3d printing, robotics, welding, and other classes that help our youth jump start their skills and interest in engineering. We all know we need to train within our own industry to replace the aging work force. The trick is; how to get our young people motivated and realize the trades are a great place to carve out a living. I believe that people like me who came up learning this trade. Through people who were older than me who wanted to make a difference. Trained these young people and paid them a good salary and they wanted to learn even more.